How Do We Locally, and Nationally, Advance Time-Variable, Competency-based Education? 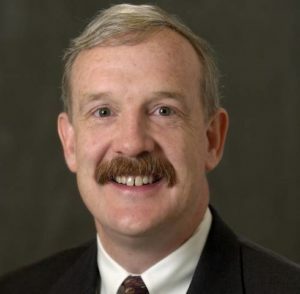 Dr. Holmboe is Senior Vice President, Milestones Development and Evaluation. He is also Professor Adjunct of Medicine at Yale University, Adjunct Professor at the Uniformed Services University of the Health Sciences, and Adjunct Professor at the Northwestern University Feinberg School of Medicine. He served as the Associate Program Director, Yale Primary Care Internal Medicine Residency Program, and as the Director of Student Clinical Assessment, Yale School of Medicine. Before joining Yale in 2000, he served as Division Chief of General Internal Medicine at the National Naval Medical Center. He also previously served as a medical student clerkship director and residency training officer at the Portsmouth Naval Medical Center. Dr. Holmboe retired from the US Naval Reserves in 2005. His research interests include interventions to improve quality of care and methods in the evaluation of clinical competence. His professional memberships include the American College of Physicians, where he is a Fellow, the Society of General Internal Medicine, and the Association of Medical Education in Europe. He is an Honorary Fellow of the Royal College of Physicians in London and an Honorary Fellow of the Academy of Medical Educators.